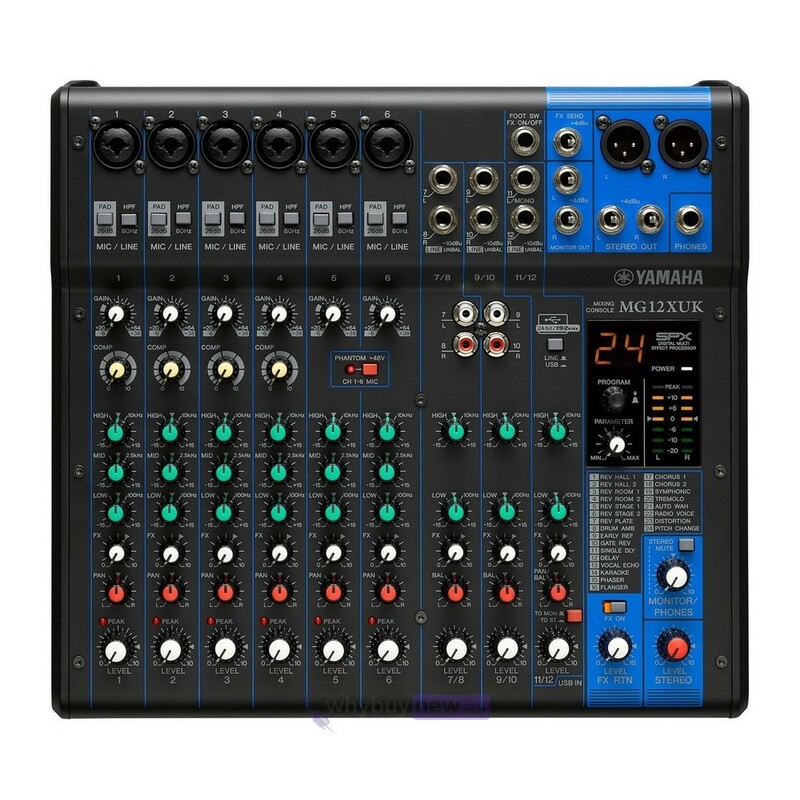 The Yamaha MG12XUK is a robust 12-Channel mixing console, part of Yamaha's MG Series. 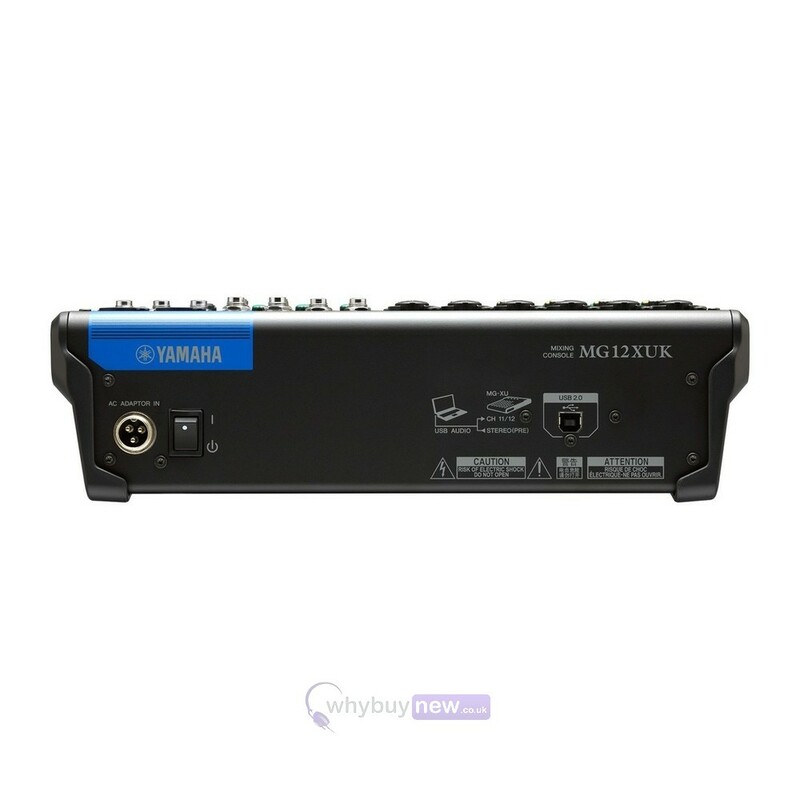 With its professional-quality features, it is ideal for use both live and in recording. The studio-grade D-PRE mic amps are equipped with an inverted Darlington circuit and impressively broad frequency range, providing a pure sonic foundation to build on, whilst the 3-band equalisers and high-pass filters allow you to control your sound with optimum precision and prevent extraneous low-frequency noise. enhancing your mix, and an FC5 foot switch can be connected for on/off effect control if required. 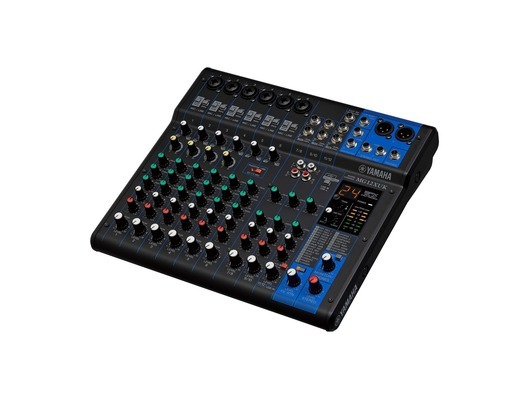 Versatile as well as high in quality, this mixer comes with a sleek rack mount kit, enabling you to set it up in a variety of installed or mobile settings with no hassle. When was the last time you heard guitar without EQ or a completely unprocessed vocal on one of your favorite songs? Probably never. 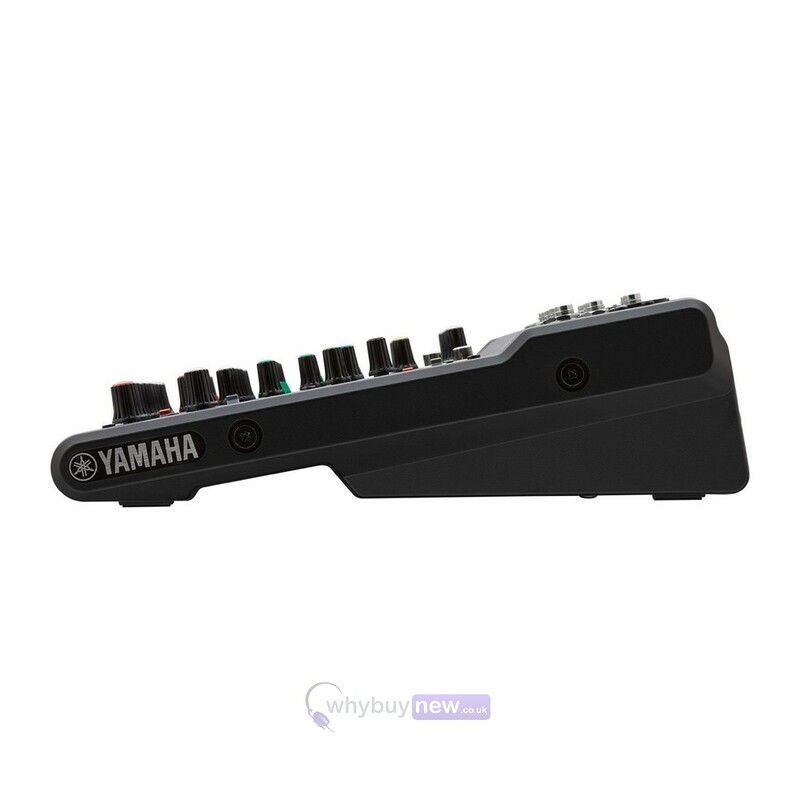 Yamaha mixers are famous for their flat response and sonic purity, but it often takes more than a perfectly-captured instrumental performance or vocal to achieve a professional-sounding mix. Equipped with some of the same state-of-the-art functionality featured on Yamahas high-end consoles, the MG Series gives you the tools you need to produce high quality sound that is uniquely your own. 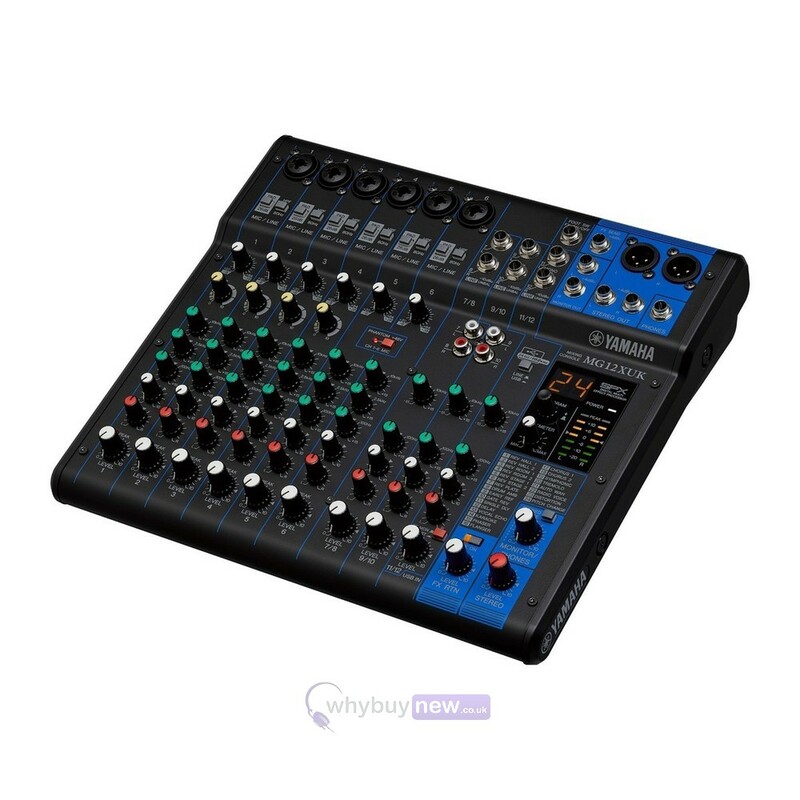 The function of another two stereo channel vary depending on model: With MG20 / 20XU, XLR accepts MIC level signal and two RCA connectors accepts LINE level signals and can be used either mono or stereo. With MG12 / 12XU and MG16 / 16XU, two phone connectors accept LINE level signals as stereo. Additionally, each of the stereo channel features 2TR in (RCA connectors) and can be used as independent input from external audio sources such as CDs. MG10 / 10XU / 10XUF and MG12XUK are equipped with additional stereo channel with a pair of phone jack that accepts LINE levels. With XU models, any incoming source that are sent via USB can be assigned to one of the stereo channel. In addition to the main stereo outputs (XLR L/R, TRS phone L/R), MG Series mixing consoles are equipped with a comprehensive suite of output connectors, including GROUP OUT (TRS phone), AUX/FX OUT (TRS phone), MONITOR OUT (TRS phone L/R), and HEADPHONE OUT (stereo phone) connectors, allowing master outputs to be chosen to suit specific applications such as monitoring or mastering. Optional Rackmount kit "RK-MG12" available for MG12/MG12XU. Optional Mic stand Adapter "BMS10-A" available for MG06 / 06X / 10 / 10XU. The MG XU models feature the same digital connectivity that is used to streamline the recording process on Yamahas professional-level mixing consoles. Take advantage of state-of-the-art digital technology that makes it easier than ever to plug-in, play, record, and then listen to your creations. * Apple iPad Camera Connection Kit/ Lightning to USB Camera Adapter required.